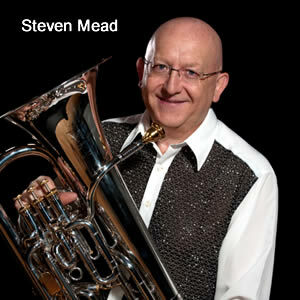 Steven Mead is widely regarded as one of the most successful professional euphonium soloists in the world today, performing over 75 concerts per year with some of the leading orchestras, wind bands and brass bands in the world. In recent years he has played solo concerti with symphony orchestras, including: Germany (Stuttgart Philharmonic Orchestra) Norway (Trondheim Symphony Orchestra) , Finland (Lahti Symphony Orchestra and Helsinki Philharmonic), Poland (Capella Cracoviensis), USA (Minneapolis Pops Orchestra) and the Japan Chamber OrchestraSteven has also appeared as soloist with many of the leading military bands in the world including Band of the Garde Republicaine (Paris, France), The Central Band of the RAF (London, UK), The Italian Police Band (Rome, Italy), The Dutch Marine Band (Rotterdam,Netherlands), The US Army Band (Washington DC, USA). 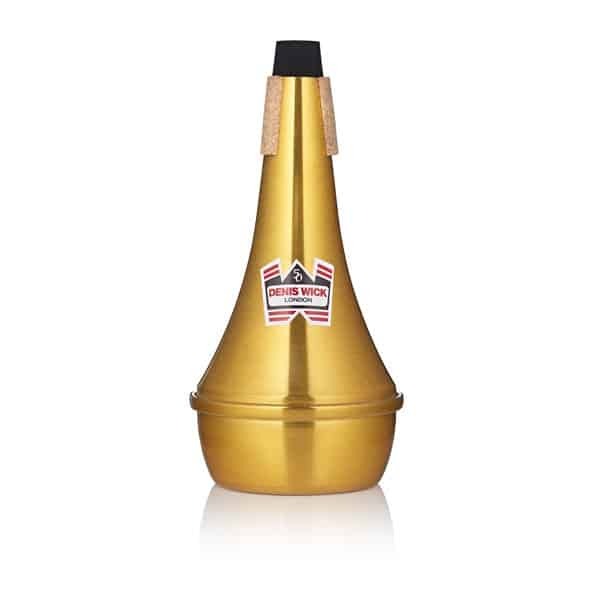 He has been a featured guest at all the major brass and wind band festivals and low brass festivals, including several at European Brass Band Championships and National Brass Band Festivals as well as at similar events in Norway , the Netherlands , Belgium , Sweden , USA and Japan and the MidWest Band Clinic, Chicago. There have been world premiere performances of over 250 solo works for euphonium including the premiere performances of euphonium works by Philip Sparke (all 3 of his concerti for solo euphonium), Martin Ellerby (Euphonium Concerto), James Curnow, Tadeus Kassatti, Torstein Aagaard Nilsen (Concerto for Euphonium and Orchestra), Robert Jager, Vladimir Cosma (Concerto for Euphonium and wind orchestra, and brass band), Rolf Wihelm (Concertino for Euphonium), Arthur Butterworth, John Reeman, Thomas Dos, Yasuhide Ito, Marco Putz, Rolf Rudin (Concerto for Euphonium and Symphony Orchestra) and Hermann Pallhuber (Bliss) for example.He is the most recorded euphonium artist in the world, with 62 CDs where he is featured as soloist or guest soloist, including the World of the Euphonium Series (five volumes) the Euphonium Magic series (three volumes) of multitrack recording, five CDs with the British Tuba Quartet (1991-2000) which he formed in 1991. Steven is featured on 16 educational series books (all with CD) with the deHaske company. 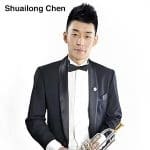 Several of his recordings have won international awards, including British Bandsman Solo CD of the year 2006,2008 and 4Barsrest.com Solo CD of the Year 2006,2008 , Brass Band World Solo CD of the Year 2008, and the Roger Bobo International Recording Award 2006 and 2008. He formed his own recording company, Bocchino Music, order to retain full artistic control. In recent years Steven has been involved in new creative projects as a soloist with leading chamber groups in Europe: Spanish Brass quintet – widely regarded as the leading Brass quintet in Europe today. A recently recorded an album includes two new works by leading Spanish composers. Trombonisti Italiana – with this quartet of Italian trombonists, he recorded two albums, the second being ‘Colours of the World’ which was an original concept that sourced some previously unknown folk music from around the world. They have also given over 15 concerts in Europe. Sound Inn Brass – Together they recorded two albums with this professional 12-piece symphonic brass ensemble based in Upper Austria. Several of the works recorded were first performances of original compositions an arrangements for euphonium and symphonic Brass ensemble. They have toured Europe together giving over 30 concerts in the last eight years and was recently been appointed musical director and conductor of this ensemble. Classic Quintet – This collaboration with this woodwind quintet, based in Bolzano, Italy produced two albums over 20 concerts . Steven is the first euphonium player to develop repertoire for euphonium and woodwind quintet. Several of these works have now been published. 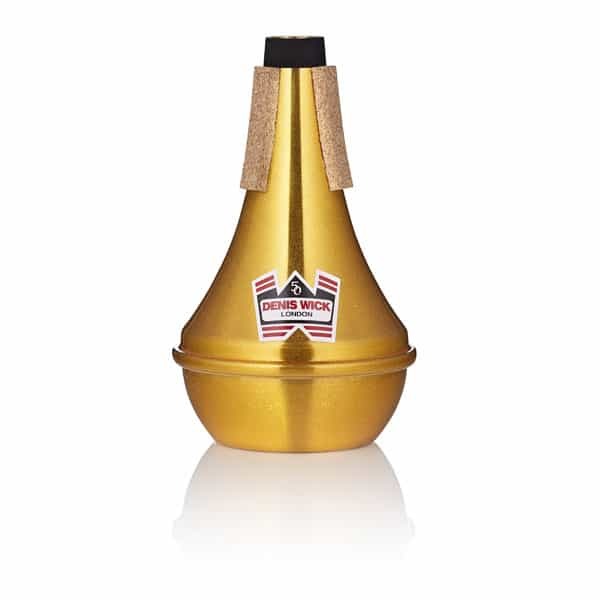 Steven is a founder member and solo euphonium of the Brass Band of Battle Creek, USA since 1992, (www.bbbc.net) the leading fully professional brass world in the world. As well as teaching at the RNCM for over 20 years, in the role of Senior Tutor, he has sought to enhance brass pedagogy around the world. He has recently been appointed a Fellow of the RNCM, for his services to this hallowed institution. He was one of the very first euphonium teachers in higher education in the UK, first being invited to teach euphonium at the Royal Academy of Music by the then Head of Brass, Harold Nash, a position he held for five years, until deciding to concentrate his activities further north , firstly teaching at the Birmingham conservatoire of 12 years where he was also Director of Conservatoire Brass Band and Wind Orchestra for four years. Then Steven concentrated his teaching activities at the RNCM where he attracted students from many countries including, USA, Japan, Taiwan, Australia, Norway, Sweden, Switzerland, France and China. Many of these students have returned to their countries and won positions as teachers or as members of leading military orchestras. Steve has also been involved with innovative euphonium education and the world , for example at specialist He directed the Euphonium Course at the new European Superior Institute for Bands , in Trento, Italy (2000-2006) , co-sponsored by the European Union. He has also given many master classes and workshops in Holland, Germany, Austria, Switzerland, Italy , Spain, Luxembourg, France, Norway, Sweden, Estonia, Russia, Denmark, Finland, USA, Canada, Japan, Singapore, Belgium, Australia, New Zealand, Slovenia, Lithuania and Poland. Steve directed or co-directed all six of British National Tuba Euphonium Festivals, 1994/95/97/99/00/04 in Birmingham and Manchester as well as 3 Dutch Tuba Festivals and 2 Belgian Low Brass Festivals. Now he is the Artistic Director of the ITEC 2012, to be held in Linz, Austria, June 23-30, 2012. He is proud of his work as an instrument consultant and clinician for the instrument company Besson for over 25 years and has been responsible for the development and design work for their three most recent professional model Euphoniums , the Besson GS model euphonium, the Besson Prestige and Sovereign Euphoniums, suggesting fourteen new design features that were accepted for the new Prestige range. Now he is involved with all stages of development work and subsequent testing, visiting the factory in Markneukirchen, Germany each month to play test their entire professional series production. 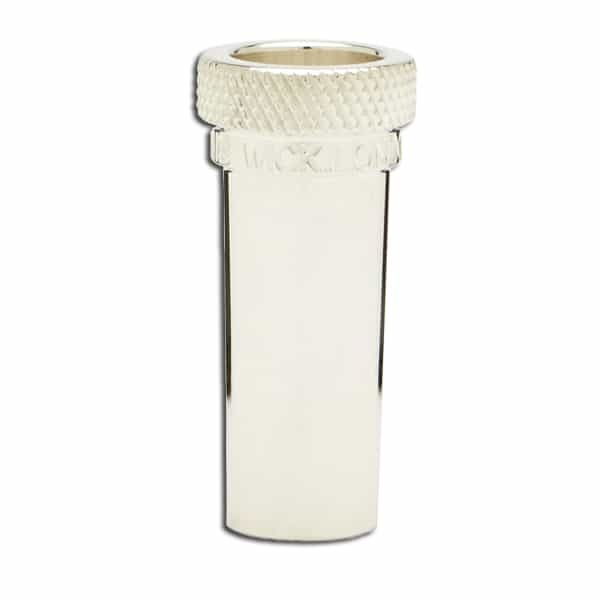 With the mouthpiece manufacturer Denis Wick – he originated the ‘SM’ and ‘Ultra’ ranges, much sought after and played by many of the leading players in the world. 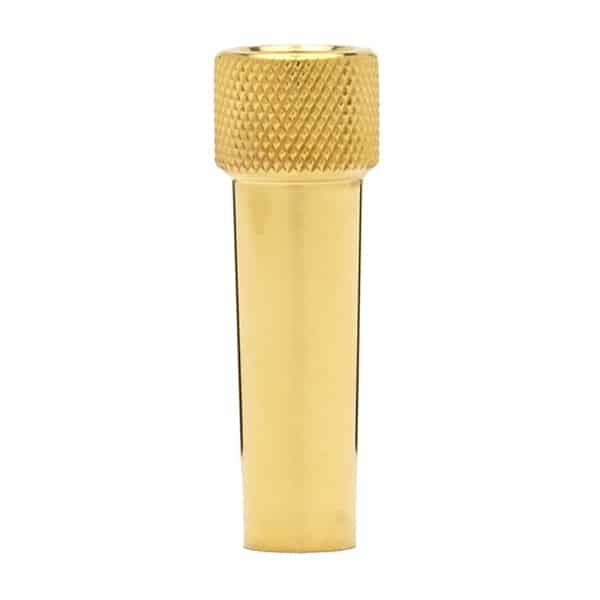 It is estimated that over 42,000 of these mouthpieces have been sold around the world since 1995. 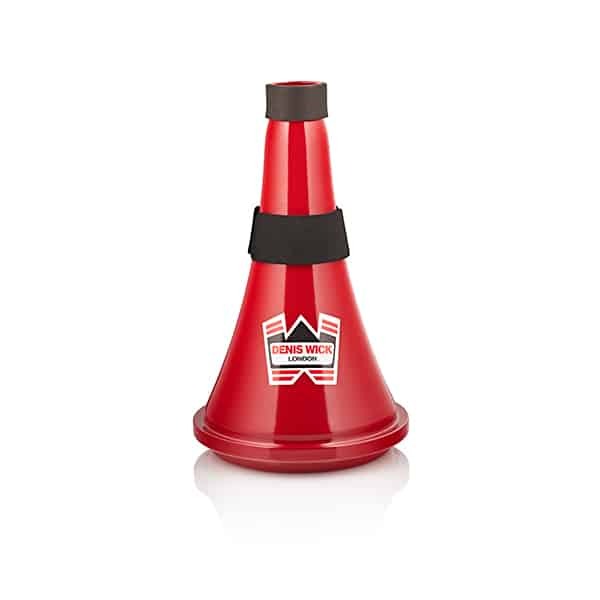 He has also recently designed the highly acclaimed SM Travel Mute. Through his specialist websites www.euphonium.net and www.euphoniumstore.net he aims to not only inform the world about development of the euphonium but also facilitate the circulation of all newly published original music for euphonium and tuba with over 500 titles in the catalogue.